Al Kingsley, Mark Anderson and Henry Platten discuss how to increase teachers’ confidence when using technology in the classroom. Al Kingsley, MD of NetSupport, explains that NetSupport’s approach to edtech is firstly to act as a facilitator to help teachers maximise teaching time. However, one of the key barriers to using technology in the classroom is teacher confidence. 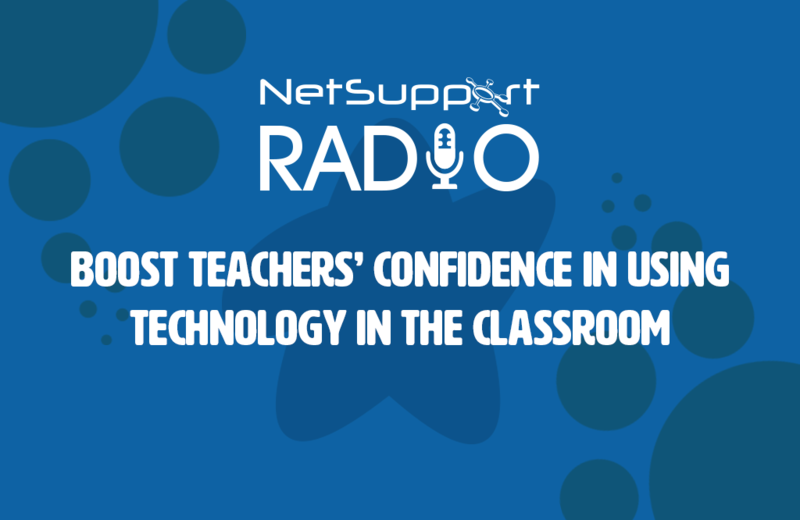 NetSupport aims to keep it simple, from features available in one click to ensuring the teacher remains in control which boosts their confidence. Henry (founder of eCadets and GoBubble) highlights that using a new bit of technology in front of an audience (children or adults) is nerve-racking and it’s not hard for teachers to revert back to an older teaching style. Activities such as watching video tutorials and connecting with others for help will gradually reduce that fear. Mark Anderson adds that asking staff to self-assess using a model (such as the Sylvia Duckworth bell curve) will firstly help schools establish which teachers are more confident and advanced in using technology in their classroom. Schools can then arrange the appropriate training or, to help keep costs down, try cascade training where the advanced users train less confident staff.